Although the top four business-friendly towns were located in Fairfield County, towns like West Hartford, South Windsor and Glastonbury also made the top ten list. A number of municipalities which scored low on business friendliness, such as Waterbury, New Haven and Hartford face severe fiscal challenges. 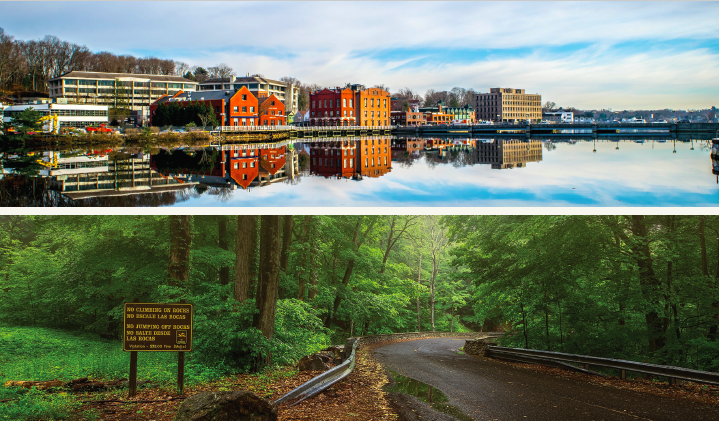 A comparison of the two studies shows that even though a municipality may be on the fence fiscally, it can still maintain a robust economic vitality, according to Yankee Institute Policy and Research Director Scott Shepard. The distribution of the top 10 cities and towns for business closely mirrored the cities and towns in severe financial distress, running along Connecticut’s coast or situated outside of Hartford. Shelton, which was one of the ten best towns for business, and Derby, which faces financial distress, are right next to each other. Stamford was the only major Connecticut city to score in the top 25 for business-friendliness, according to the study. While taxes did weigh on the score of cities like Hartford, Waterbury and New Haven, community allure – defined as education of the populace, crime rates, and cost of living – and economic vitality, which measured median income and job growth, were weighted more heavily. Those cities which struggle with crime rates, poverty and poor economic conditions also feature high comparable tax rates and fiscal problems, driving their scores lower. 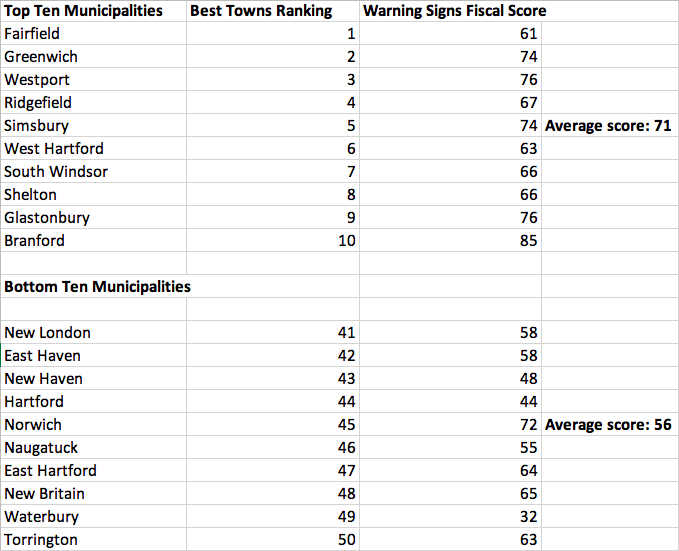 Unsurprisingly, a number of suburbs surrounding cities like Hartford and Bridgeport scored well in the study. Connecticut’s overall business climate has seen better days, according to a 2018 survey of business owners by the Connecticut Business and Industry Association. According to the survey, 87 percent of business owners surveyed felt Connecticut’s business climate is either declining or static.